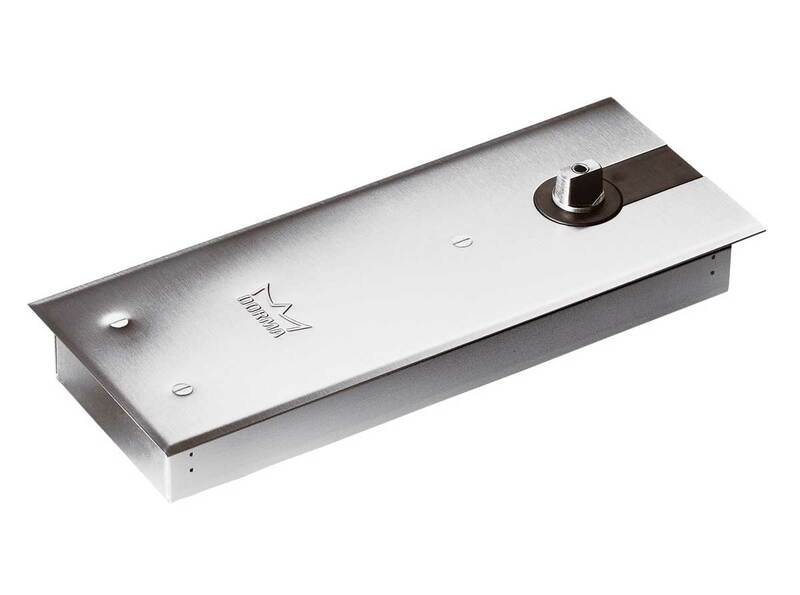 Double action mechanism with special shallow recess design with selectable stop setting, specially modified for the aluminum and glass door industry (ΙSO 9001), with detachable German and Italian spindle. Easy to install, adaptable to more demanding circumstances with double valves from 130° to 0° and from 130° to 20°. Fully recessed in very shallow depths in flooring, with proven durability for doors up to 100kg, without thermal fluctuations and highly efficient for easy door opening.